10.2" x 6.7" x 2.1"
10" x 4" x 0.5"
11.34" x 2.36" x 10.08"
12.20" x 4.72" x 9.84"
14.25" x 3.5" x 0.25"
15.5" x 20" x 4.5"
2.13" x 1.63" x 0.63"
3.25" x 5.25" x 8.38"
3.375" x 0.8" x 0.8"
4.25" x 8" x 10.25"
4.75" x 8" x 10"
4" x 2" x 5.2"
4" x 3.5" x 0.5"
5.25" x 8.38" x 3.35"
5.5" x 1.25" x 0.5"
5.5" x 1.5" x 0.25"
5.5" x 3.5" x 1.5"
5" x 3.4" x 12.6"
6.25" x 0.5" x 0.25"
6.5" x 2" x 1"
6.7" x 4.7" x 0.6"
6.75" x 0.75" x 4.75"
6" x 2" x 0.25"
6" x 2" x 0.75"
7.87" x 3.54" x 4.33"
7.87" x 4.33" x 0.79"
8.25" x 6.1" x 9.84"
8.25" x 6.1" x 9.92"
8.25" x 8.25" x 1"
8.38" x 8.5" x 5.25"
8.5" x 5.75" x 1"
8" x 10.25" x 4.25"
9.75" x 3.75" x 0.5"
9.84" x 3.54" x 1.18"
9" x 3.5" x 0.5"
From the first to the 50th, celebrate every anniversary your way. Whether you’re still a newlywed or going on 10 years as a couple, your anniversary should be as special as your love story! 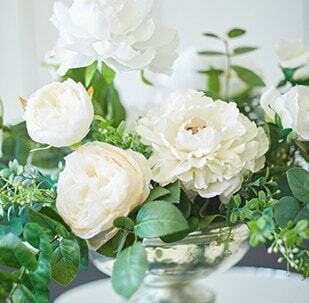 You may decide to throw an anniversary party; maybe you want it to be just the two of you. 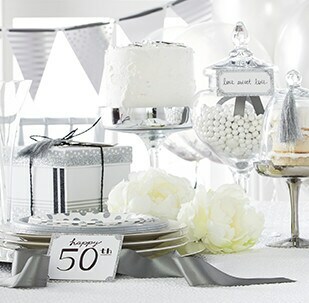 No matter the size of your celebration, look to Michaels for anniversary party ideas and supplies. Because it’s traditional for first-year couples to give each other the gift of paper, record your memories with an album or journal. 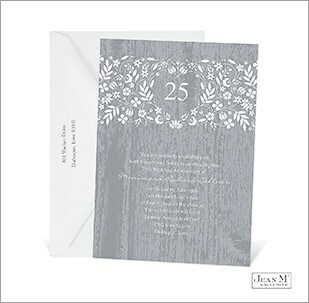 You can even make your own anniversary card as a one-of-a-kind work of art for your better half. At the five-year anniversary mark, it’s traditional to give wood. A wooden plaque, wooden words or wooden picture frames are great gift ideas for her, while wooden tools, birdhouse kits or unfinished furniture are fun presents for him. Some couples choose to celebrate their 10-year anniversary just the two of them, but it’s also a great idea to mark a decade with a dinner or cocktail party shared with friends and family. Traditional 10-year anniversary gifts are made of tin or aluminum, so find metal buckets or keepsake boxes and tuck something special inside for your spouse. When the numbers go up, the parties get bigger. Tradition calls for a blowout 25th wedding celebration. Because it’s your silver anniversary, choose wedding anniversary decorations with a sterling theme, including balloons and banners. Want to give away anniversary party favors? Silver wine stoppers or votive holders fit the theme. Your 40th anniversary is the ruby anniversary, so decorate with red banners and heart-shaped balloons. Your 50th is the golden anniversary, so dress up the party with gold tableware, centerpieces and confetti.